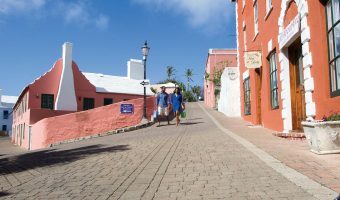 The Bermuda National Trust Christmas Walkabout is one of the most popular events in St George. It takes place every year on the first Friday evening in December and marks the start of the holiday season. Visitors and residents are invited to stroll through the historic streets of the town and take in the sights and sounds of Christmas. Stores stay open late and musicians and carol singers entertain the crowds on King’s Square. Many of the BNT’s historic buildings are open to the public and decorated for the season. Charitable trust established to preserve the natural and historic treasures of Bermuda. Owns and manages some of the island’s most beautiful buildings, parks, and nature reserves.